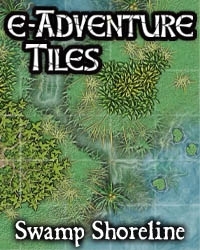 Cross from the wilderness into the swamp and back with e-Adventure Tiles: Swamp Shoreline. This 16 tile set transitions from any of SkeletonKeyâ€™s existing Wilderness sets to e-Adventure Tiles: Swamps. It is also possible to build ponds and waterways with the included tiles to bring even more versatility and excitement to your encounters. 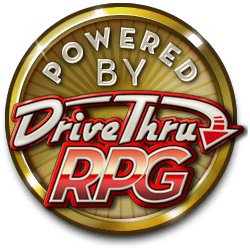 e-Adventure Tiles are designed by RPG cartographer Ed Bourelle for use with your favorite miniatures and games. This title was added to our catalog on June 22, 2008.